In the 2013 romantic comedy Shuddh Desi Romance, a young couple pretended to be siblings in order to disguise their cohabiting status. In Laxman Utekar’s version 2019, live-in relationships are not just frowned upon, but discovery of such an arrangement can be humiliating and lead to violence. In Mathura, the guardians of morality are members of local political party Sanskriti Raksha Manch. The public enemy number one in the region is movie star Nazeem Khan (Abhinav Shukla) whose pro live-in stance is common knowledge. Posters of his blacked out face line the narrow streets. 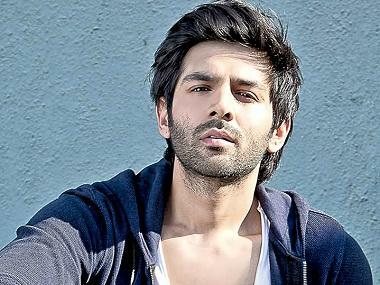 In this environment, where young couples are being harassed, local television reporter Guddu Shukla (Kartik Aaryan) meets intern Rashmi (Kriti Sanon), who has recently returned completed a media course in Delhi. Guddu, the youngest of three sons, is at loggerheads with his two older brothers and Babulal (Pankaj Tripathi), a lecherous member of the extended family. Rashmi’s father, Trivedi (Vinay Pathak), has political ambitions as the leader of the Sanskriti Raksha Manch. But despite her father’s hardline, Rashmi tells Guddu that she would like to get to know him better by entering into a live-in arrangement before they decide to marry. Lucky for them, Guddu’s buddy and cameraman Abbas (Aparshakti Khurana) is an ideas-a-minute kind of guy. He manipulates a work assignment in a way that Guddu and Rashmi can now masquerade as a married couple and rent an apartment in Gwalior. This results in some comical situations with nosy, judgmental neighbours, loved-up scenes of playing house-house and finally, drama. An already shaky script completely unravels after the couple’s ruse is revealed. When their pretense convinces the families and gets a stamp of approval, Guddu and Rashmi suddenly go from being defiant and deliriously happy to guilt-ridden and glum. Now, with Abbas’s help, but with much interference from Babulal and quite a bit of idiocy of their own, Guddu and Rashmi try to actually get married on the sly. Rohan Shankar’s script abounds with characters doing dumb things. Had there been a few more layers to the story and character development, one might even have rooted for Guddu and Rashmi. But the only interesting things about them are Aaryan’s hairstyles and pout, and Sanon’s lovely outfits. As actors, they dive into shallow waters, paddling furiously within the whirlpool of a feeble story. The nicest scenes are between the three friends, with Khurana handling the complexities of Abbas’s character with gentleness. It is a contrast to Tripathi who scampers around in colourful costumes like a court jester.